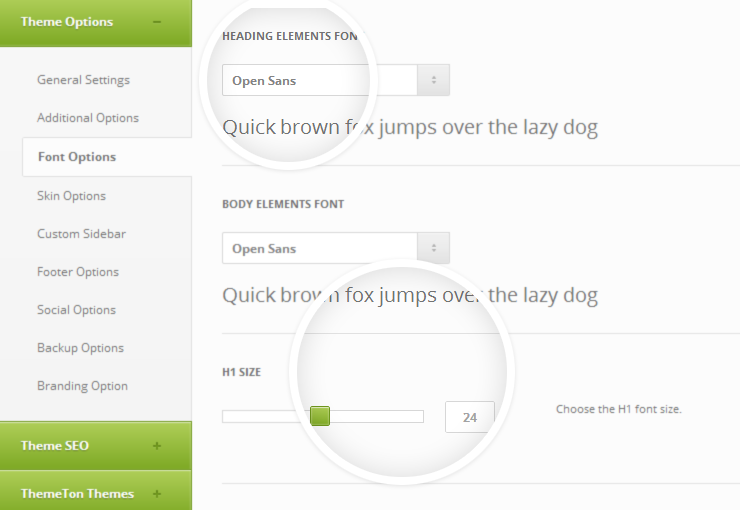 You can choose around all of Google Fonts in our theme section. Heading Element Section is defining your Headers (H1- H6). Body elements are all of your descriptions.